What's the Difference Between a Turbocharger and a Supercharger? What’s the Difference Between a Turbocharger and a Supercharger? Few other countries have elevated shade tree mechanics and fast cars to the level of achievement we have in America. We not only turned bootlegging and running away from revenue agents into a sport—NASCAR—we have perfected high performance engines that fit snugly into tiny sports cars. We advertise with them, put them in movies, and—perhaps best of all—tinker with them. But you don’t have to be a high-performance mechanic to appreciate pure power—one way to pep up any engine is with forced induction: turbochargers and superchargers. Whether in diesels or gasoline-powered engines, the trade-off for more power is almost always more weight, higher temperatures, and worse gas mileage. More power is useful in heavy equipment like construction vehicles and trucks because it translates into greater capacity at low speeds. More power is useful in things like Formula One race cars (strictly for use on race tracks) and street-legal sports cars operated legally for quick but legal acceleration to legal highway speeds. Forced air induction gives an engine more power. You can do this either by chaining the induction device to the crankshaft (that’s a supercharger) or by tapping into the mechanical energy of the car’s exhaust gases (that’s a turbocharger). Many after-market parts companies also sell turbochargers and superchargers so weekend mechanics can convert their own 1970 Dodge Charger R/T to look like Vin Diesel’s ride in The Fast and the Furious movies (F&F—Vin was The Furious guy). Converting themselves to look like Vin Diesel requires a razor, gym membership, cosmetic surgery and a few tight-fitting shirts. 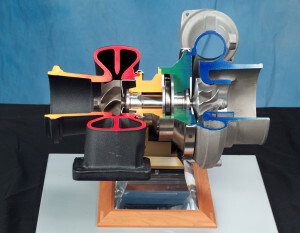 A turbocharger will spin at a high-g rate of up to 200,000 rotations per minute (RPM). It compresses air as it flows into the engine, essentially cramming more air into each cylinder. This allows more fuel into the cylinder, too, so the resulting mixture is far more powerful when it explodes. It does all this with hardly any additional engine weight, using the stream of exhaust coming off the engine. For all its power, a turbocharger is a fussy and complex thing and requires great skill to maintain. It can return something between 30 and 40 percent more power to the engine, though, and it does not add exhaust pollution. It works best at high engine speeds and is generally quieter than the attention-grabbing supercharger. A turbocharger parks on the exhaust manifold, so the exhaust spins the turbine. This is its weakness—you step on the gas and have to wait for exhaust to pass through the turbine and get things started. 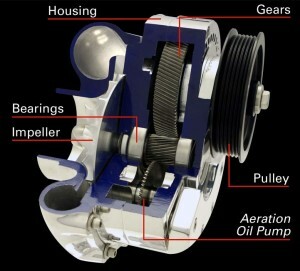 The turbine is shaft-connected to a compressor between the air filter and intake manifold. The compressor adds between six and eight pounds per square inch (psi) to the roughly 15 psi of our atmosphere. A supercharger uses the crankshaft as its power source and in turn provides additional power to the engine, nearly instantly. Because it is directly connected by a belt (usually, though you can also connect with a chain, gear or shaft) to the engine, the Roots supercharger is marvelously photogenic (consider all its appearances popping through hoods in F&F movies) and fuel-hungry. It has to attach close to, and in line with, the engine, so usually it beefs up the top and shows off its chrome. 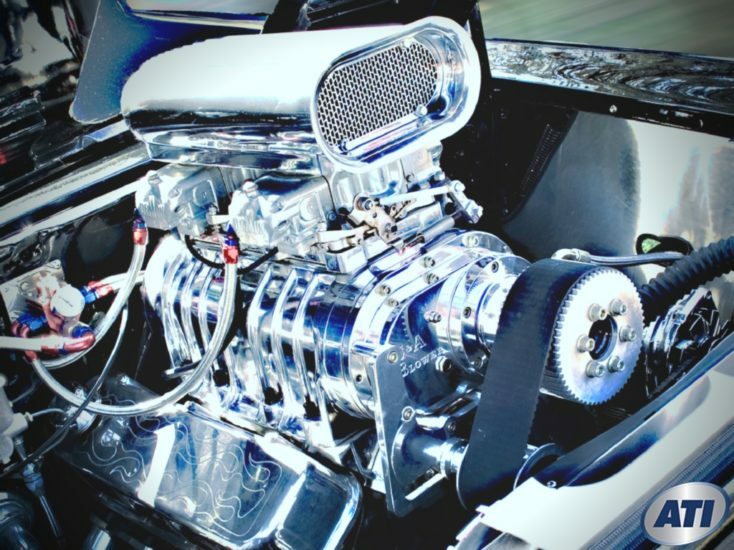 A supercharger, because it connects to the engine, will top out at around 50,000 RPM, using your fuel the entire time to maintain that rate. It is excellent at returning up to 46 percent more power to the engine at lower speeds, which is why you see them in trucks and diesel engines. A career in automotive technology starts the way any car starts—you have to choose the right key. The key to your future is a diploma from Advanced Training Institute, ATI. Contact ATI to learn more about their program in Automotive Technology with High Performance Engineering. 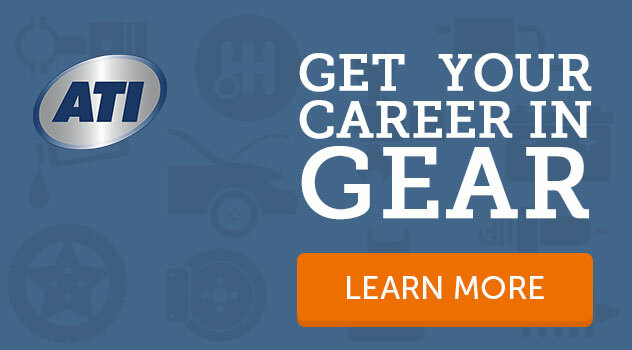 With a strong education and hands-on learning, you will be prepared to step into an entry-level position in modern automotive service centers or in high performance shops. Contact us at 800-468-1093 or request information online today.